Handmade gelato and ice cream in Port Perry was the realisation of a pharmacist’s ongoing interest in compounding solutions. He wanted to apply what he learned from years of training in compounding traditional pharmaceutical grade products for topical and internal use. The skills he learned to create unique customised products were mostly idle as the vast majority of prescription products are now pre-manufactured. Instead, he decided to direct his skills and interests in directions outside of the pharmacy. And this is the beginning of the story About Us – The perfect Scoop. Hi, I am Bob, the pharmacist. My philosophy is that ‘everything is chemistry’. And so, I started using my knowledge base to making great food sauces (emulsions), tempering chocolate (crystal structures) making soaps from scratch (saponification/crystal structure) and discovering what makes one ice cream superior to another (emulsions, crystal sizes, freezing point depression). I developed a distinct liking for understanding and making ice cream. This led me to an intense week-long “Science of Ice Cream” course in Las Vegas, Nevada hosted by internationally renowned food scientist’s Tharp and Young. And another course in artisan Gelato making in the Woodbridge area of Toronto. 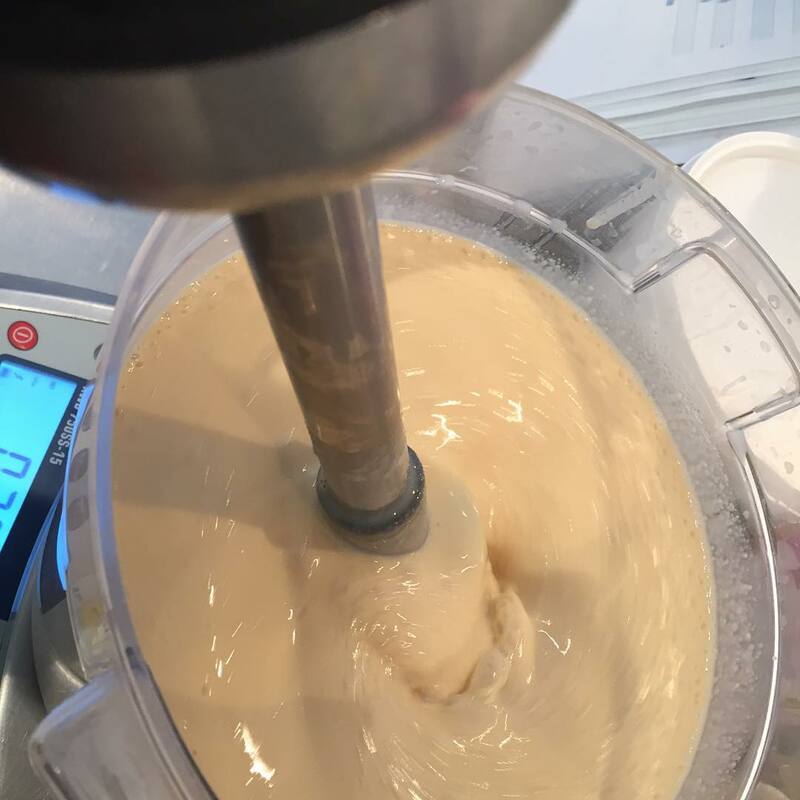 My interest in gelati and ice-creams became an intense hobby and many formulations of gelato and ice-cream were tested in the kitchen using a small batch ice cream freezer. While the results were good, they were not great. “If it was a compounded prescription I would not have allowed it to be dispensed. It is not perfect!” In order to make high-quality Galati and Ice-creams, you required high-end equipment. We invested in high-quality equipment. For Gelato, the desired result is a very “creamy” consistency without high fat cream. For Ice cream, it is the best equipment to ensure that the ice-cream is smooth and not icy on the palette and tongue. Freshness, formulation, density and rapid freezing make all the difference when it comes to the taste and consistency of the final products. Therefore, specialized equipment that offers sterility, complete emulsion capabilities and an extremely rapid freezing process. All of these requirements ensure the creation of extremely small water crystals that cannot be detected on the palette and tongue. The problem was: Why would one buy a high-end pasteurizer, gelato freezer and other equipment just to make the odd batch of gelato or ice-cream at home? The only reasonable way to justify this expense was to open a business offering handmade artisan Gelato and Ice-cream to the public. We built our gelataria (gelato shop) on three main principles: freshly made, local products, and artisanal product with a blend of state of the art equipment and traditional gelato-making techniques. 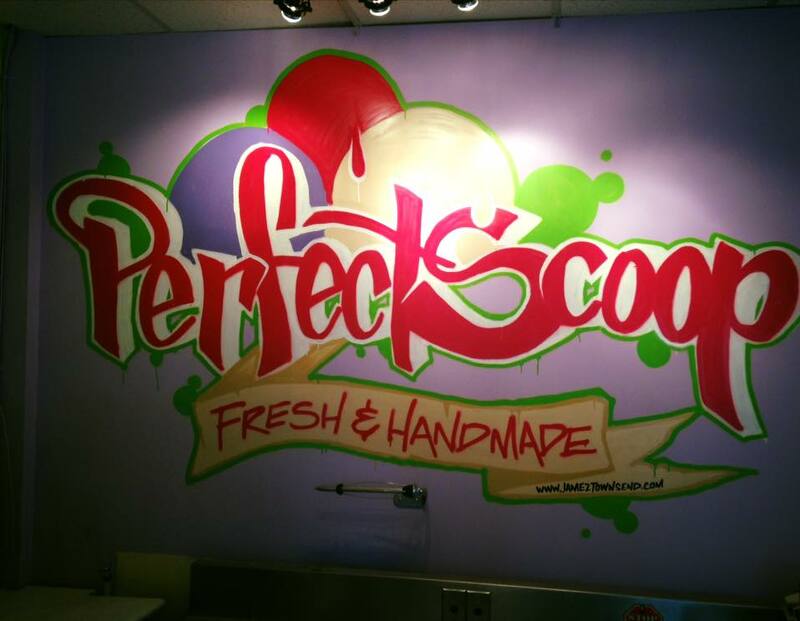 The Perfect Scoop gelataria is located in Port Perry, Ontario to offer our delicacies to our hometown. We generally find gelato shops in mostly warm tourist destinations. But we wanted to offer high-quality fresh products that are made on location and are, typically, only available in large centres. We have a strong sense of community and a belief that downtown Port Perry is best suited for handmade local products. Our gelateria is managed by my daughter, Jennifer, my wife, Kathy, and myself. Together with our friendly staff, we enjoy making our fresh desserts daily and delighting our customers with tasty delicacies. Ice creams, shakes and smoothies and our espresso bar all complement our natural gelato for a delectable experience. 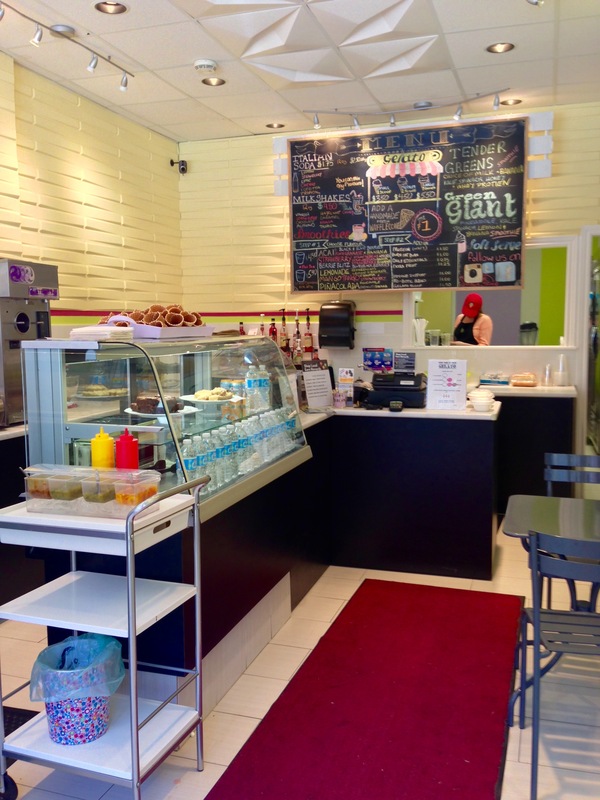 Take a trip to 158 Water Street, Port Perry and enjoy the finest handmade gelato and ice cream Ontario has to offer.